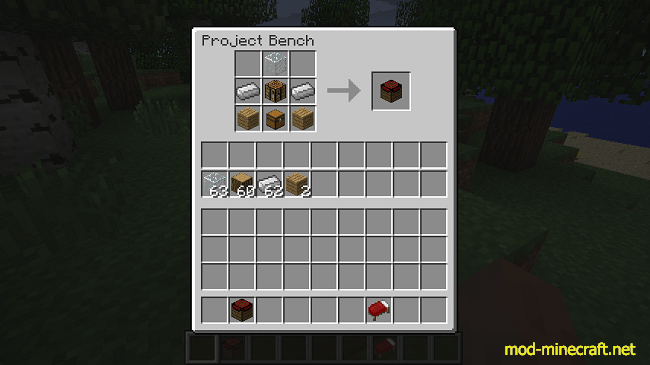 Project Bench Mod installs to the game a new crafting table with an inventory, plans, and crafting with liquids. Items stay in crafting grid. Crafting components will be removed from supply inventory first, and then from the crafting grid as needed. 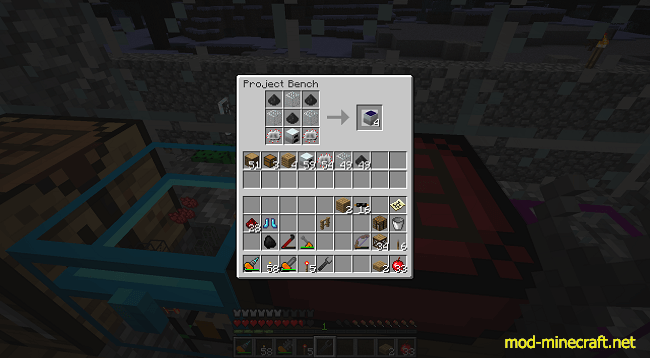 Upgrade to Project Bench from Crafting Table with craftable item. Use fluids in crafting with the Project Bench (if upgraded). Displays result over the bench. Plans to store a recipe for easy use later! Plans can utilize fluid tank to craft with fluids. Two Buttons: top one becomes clickable when a plan is in the slot below it (see Using Plans below). Bottom one, when pressed, will empty the crafting grid of all items. Hovering over either button for a brief period of time, will give you a bit of insight into what they do. This process also works with fluids. 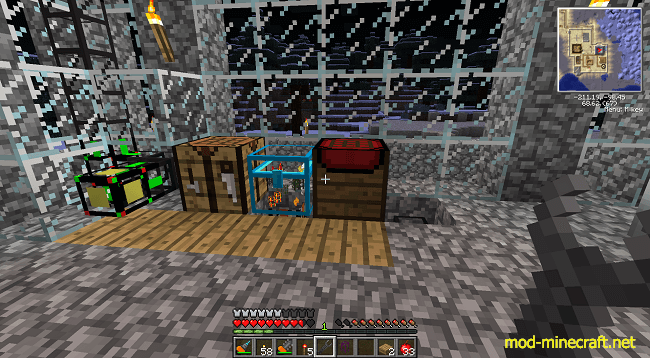 If there is a bucket of water in the crafting recipe, and there is water in the tank, it will consume water from the tank before buckets of water from the supply area. Placing a blank plan in the slot to the left of the grid will enable the button above it. Clicking the button above it, will write the crafting recipe to that plan. The texture will change to show that the plan has a recipe associated with it. Last but not least, holding shift while hovering over a plan in any inventory will display all the components that go into making that recipe within the tooltip. Right click with this upgrade on a Project Bench to upgrade that Project Bench to handle fluids. 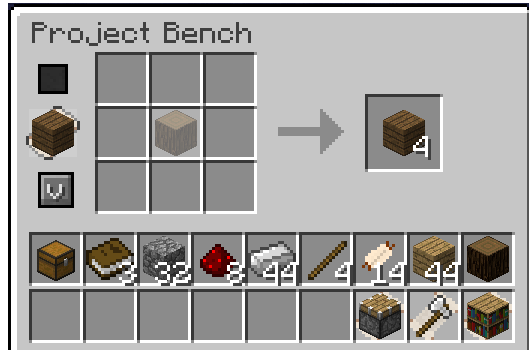 Doing so will allow the Project Bench to hold up to 16 buckets of a fluid, and craft with that fluid in the crafting grid, using plans, or as a supply item. Crafting will follow this priority in using liquids: first from the tank, then from the supply inventory, finally from the crafting matrix. 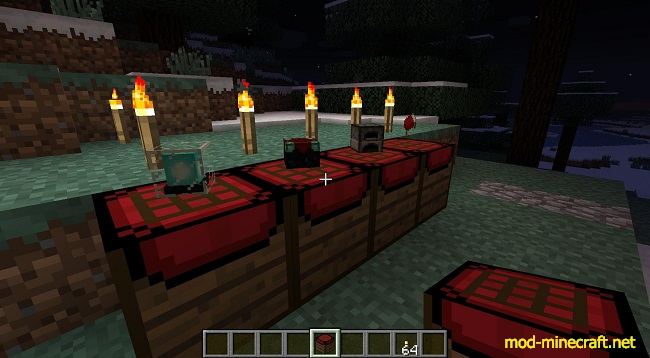 This is a very simple mod that only adds one thing to the game, the Project Bench. It’s a simple block that is one part crafting bench, one part chest. It gives you the ability to place a recipe in the crafting area and make it multiple times with the supplies from the chest portion of it. There are 18 total spaces that will supply items to craft for the recipe if it is needed. 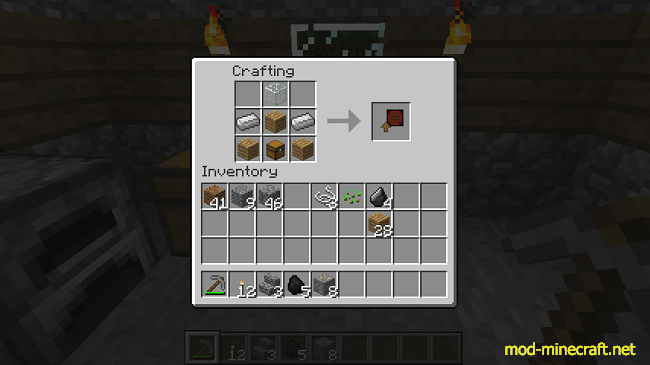 Secondly, here’s the crafting recipe for the Upgrade item. It can be used to upgrade preexisting crafting tables. This was added to remove the redundancy of making a crafting table to make a Project Bench and then be left over with a spare crafting table. Voila, it shows the crafting result above the block! Useful for remembering which bench has what recipe! Doing all the hard work for you. Here’s it in action. It will first use items from the attached inventory. Coexisting peacefully with other mods.